Men's Coconut Shell Pendant Necklace, "Traveler"
Nonyem Abena Ibeneme designs a stunning necklace for men inspired by traditional African jewelry trends. 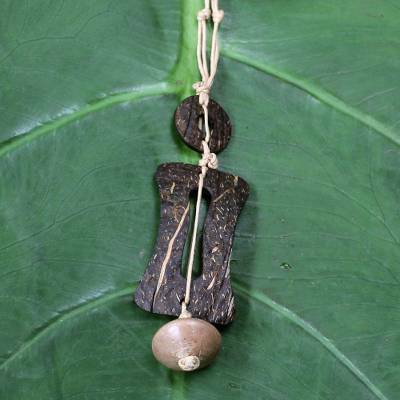 The necklace is crafted by hand with waxed linen thread and natural coconut shell pendants detailed with a soapstone bead. You can find men's coconut shell necklace 'Traveler' by Nonyem Abena Ibeneme in jewelry categories such as Eco-Friendly Necklaces, Nature Necklaces, No Stone Necklaces, Coconut Shell Necklaces, Ceramic Necklaces and Pendant Necklaces. Enjoy exploring these sections for other Novica treasures.